To find discounts for Army, Navy, Air Force, Marine, and Coast Guard families, turn to MyMilitarySavings.com. 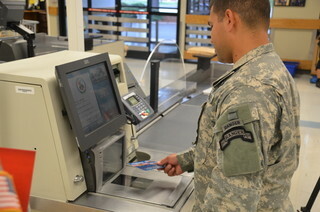 We’re your source for commissary coupons and other special deals offered by manufacturers and retailers who understand the challenges our military families face every day. Whether you’re an active duty marine looking for coupons before shopping at the commissary, or you’re a retired Army soldier seeking discounts for a special cruise, we have the resources you need to find the best deals available. In addition to special discounts for Army, Air Force, Marine, Coast Guard, and Navy personnel and their families, MyMilitarySavings.com also gives you access to a large virtual community that understands your challenges and provides support, information, and advice. You’ll find recipes, stories, and ideas from other modern military families, as well as active Facebook and Pinterest pages where you can make new friends. Find out for yourself why so many military families from all branches, including Navy and Army, find their discounts at MyMiliarySavings.com. Become a member for free today on our sign-up page.